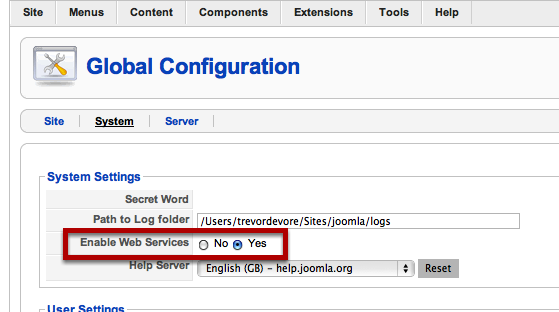 Before you begin you will need to enable Web Services in your Joomla installation. This allows outside applications to submit content to Joomla. 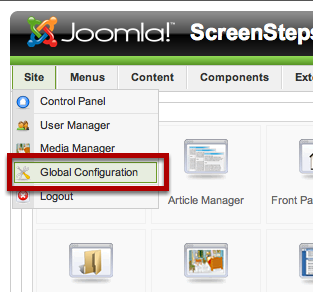 Use the Site menu to navigate to the Global Configuration page. 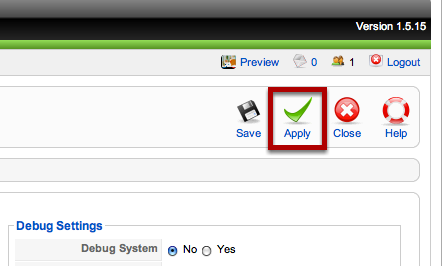 Make sure that Yes is selected for the Enable Web Services option. 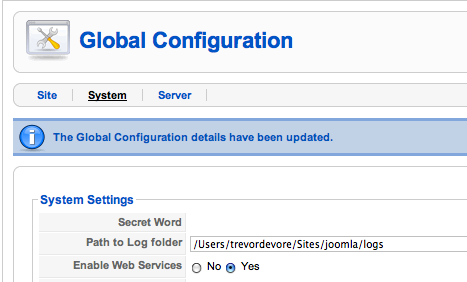 Joomla should alert you that the global configuration details have been updated.